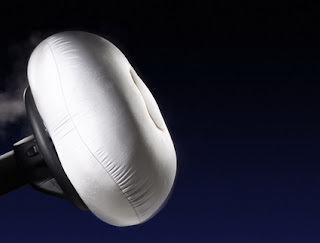 Exploding Airbag vs "Atomic" Paralytic Spasm: Which is Faster? A spasm so explosive, they occur with no warning as the affected limb reaches its maximum contraction and then attempts to painfully contract further. A contraction so sudden, so violent and so extreme that your own body attempts to tear the limb from the joint. If my foot was caught or restricted. by some object, I fear that bones may break. If not held down, my knee attempts to hit me in the nose! I feel my "Atomic" spasms are so violently explosives that they explode faster than an automotive airbag on collision! They can happen at anytime, however, they are all but guaranteed to occur most nights. On "better" nights (if anything about this affliction could be considered "better") they run their course, whether for an hour, or more likely for hours, then subside to let me sleep. The last few nights were particularly bad. Friday night I fell asleep around 11:30 pm only to be awakened at 2:00 am with spasms that tried to launch me from bed. Fell back asleep sometime around 6:00 am and then tried to face the day at 8:00 am. Four and a half hours total sleep. Next night, Saturday, I try to go to bed at 11:00 pm with spasms already in full explosive glory. Painful, explosive, rhythmic, contractions, one followed by another, over and over until after 3:00 am. At least that is when I last checked the clock. Up at 9:00 am so I finally got a solid six hours total of sleep. My overall impression is that my body's increasing stiffness, tightens the muscles more on my left side which pulls on my hip which in turn tugs on the sciatic nerve (resulting in sciatic nerve pain in the hip and foot) and this tightness irritates the sciatic nerve triggering the spasms. Pressure, stretching, massaging, drugs (Baclofen, muscle relaxants, analgesics) seem to have little if any effect on relieving the spasms. 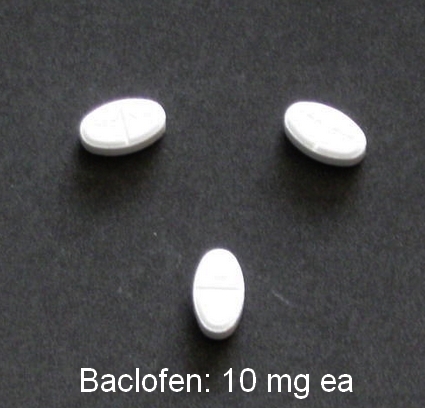 I am taking a total of 30 mg of the antispasmodic drug Baclofen, 3 times daily. While I haven't independently verified this, my understanding is that this is about the maximum oral dose before unwanted side effects may start showing up. I wonder if my body has somehow become resistant to the action of Baclofen as I cannot imagine spasms being even worse if not on this drug. In fact it has never had much of an affect on what I consider to be a spasm; the unintentional, rhythmic contraction of the affected limb. Once, when I tried to slowly ween myself off of Baclofen, I found that the jerking spasms remained about the same in frequency and intensity. What did increase is is an overall stiffness. My body felt much more rigid and my legs wanted to "scissor" or cross. When I tried Botox to loosen my Achilles' tendons, the administering doctor rattled off an alternative definition of 'spasticity'. So, I wonder if the medical and 'common' definition of spasms are one and the same? 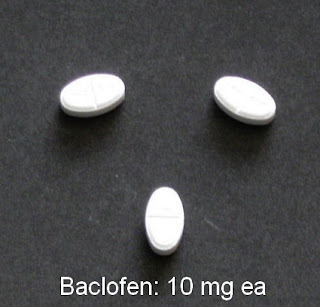 I have felt much stiffer in recent months and wonder if oral Baclofen no longer has the expected affect on my spasticity? What would be the answer? Increase the dosage? I understand there is the 'Baclofen Pump' is a surgical option where a reservoir and pump is implanted to deliver liquid Baclofen via a tube directly to the spinal column. I find this a rather distasteful option -I have to investigate this further. Is this invasive procedure really the only remaining option? I have no idea what torment tonight will bring. I`m Eduardo from Chile again; I follow your blog since few months/years (2). Im a teacher, I need to contact; can you give me your e-mail?. My family member, paralyzed in a car crash at T5-6 and with a spine fused from T3-9, has received a huge improvement in quality of life after having the Baclofen Pump inserted. It is a big decision and yes, a surgery is involved. 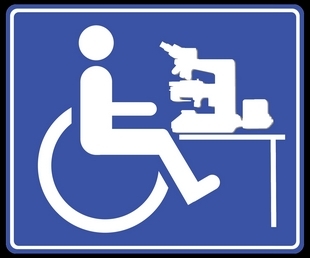 However, the improvements to spasticity and tone are amazing! I would encourage you to continue investigating this option.